Spring has sprung at Whitehead Studios in Lake Bluff, and the timing couldn’t be more perfect to perk up your home décor or Easter celebration with a unique decorated egg ornament. “Easter eggs started hatching at Whitehead Studios around 2010. I have been very fortunate to have a great following of my Christmas ornaments, but also wanted to bring in a spring collection,” says owner and artist Julie Whitehead. 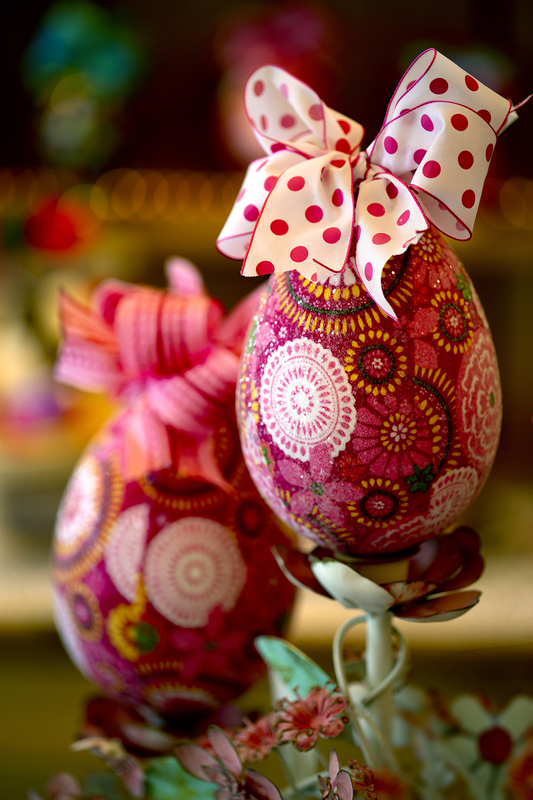 The eggs—which vary in size from 6 inches up to 16 inches, are created using beautiful fabrics from all over the world as well as hand painting to create little works of art—and then topped with a whimsical bow for a finishing touch. People throughout the U.S. purchase Whitehead’s ornaments and eggs, which range from $24 to $98. Exclusive to Whitehead Studios, the eggs are also shatterproof. Collections are available for purchase at Whitehead Studios at 36 E. Center Avenue in Lake Bluff, Tuesday through Saturday, 10 a.m. to 5 p.m. or by appointment, 847-980-6373, whitehead-studios.com. The latest must-have coffee table book for equestrian enthusiasts very aptly has a forward by none other than Lord Patrick Beresford—a former soldier, equestrian, and the younger son of the seventh Marquess of Waterford. Combining high elegance with all the signature elements of an equestrian-centered culture, Equestrian Life: From Riding Houses to Country Estates is a beautiful tome by Lavinia Branca Snyder that celebrates upscale country living in England, Scotland, and Ireland. From tack, trophy, and portrait rooms to coach houses, stables, and wood-paneled libraries, Mark Roskams’ beautiful photography offers a glimpse into the best of the British Isles’ diverse horse-country homes. 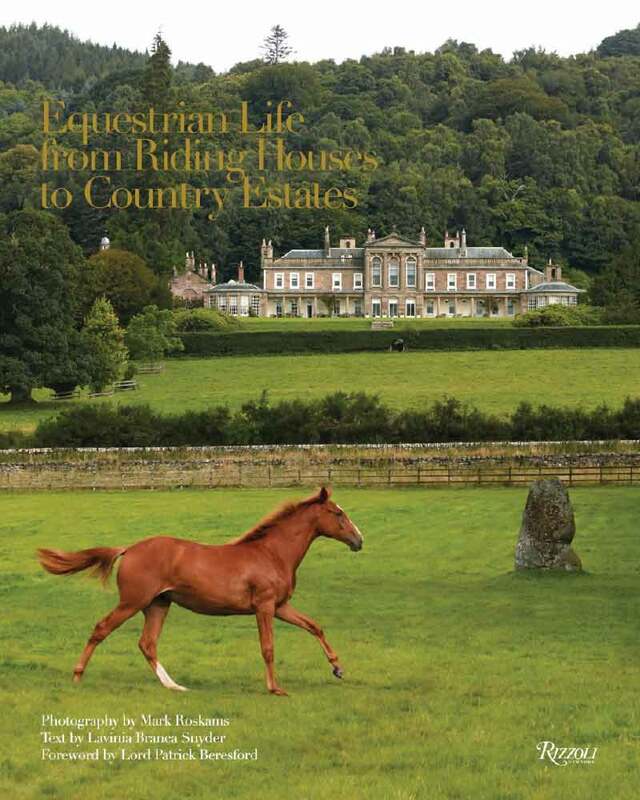 Centuries-old residences belonging to the owners of polo ponies, magnificent thoroughbreds, hunt horses, and carriage teams are included in this lavishly illustrated collection. This is certain to delight anyone who loves horses and grand country estate living. Purchase at your favorite local bookstore, amazon.com or at rizzoliusa.com. 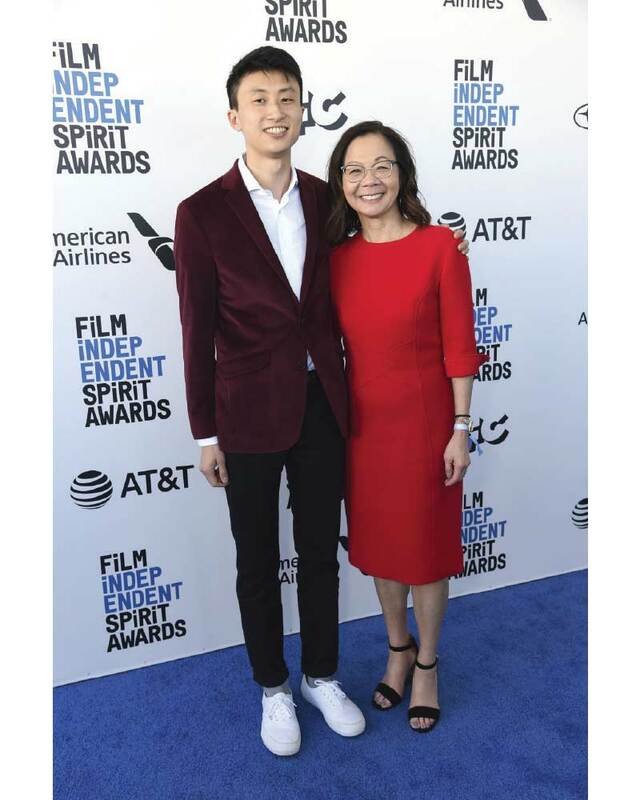 If you saw Lake Forest filmmaker Diane Quon on the red carpet at the recent Academy Awards and asked the age-old question “who is she wearing?” you could have asked Ellen Stirling and her staff at the Lake Forest Shop. Stirling was proud to provide wardrobe assistance to Quon, who made her way to Hollywood for Oscars Week in celebration of her Academy Award-nominated documentary, Minding the Gap (directed by Bing Liu). “She wore three different dresses from the Lake Forest Shop,” Stirling explains. “Two were designed by Lourdes Chavez, one of which was for the Oscar ceremony. The other two dresses were for events before the actual ceremony—another Lourdes Chaves and a dress by Frascara.” Quon has been working as a producer with Liu and his Kartemquin Films for three years. Minding the Gap, a coming of age story of three skateboarders who bond across racial lines to escape volatile families in their Rust Belt hometown of Rockford, was nominated in the Best Documentary Feature category. If you haven’t seen it yet, there’s still time. The film is scheduled to be broadcast on PBS early this year. Congratulations to Quon for the nomination and to Stirling for helping her light up tinseltown. Steve Worth of Lake Forest finished first in his age group and 16th overall in the annual American Birkenbeiner cross-country skiing event in Wisconsin. Known as the “Birkie,” it is patterned after a similar race in Norway, which got its name from a Norwegian legend commemorating the rescue of a child prince—who later became a Norwegian king—from invading forces. 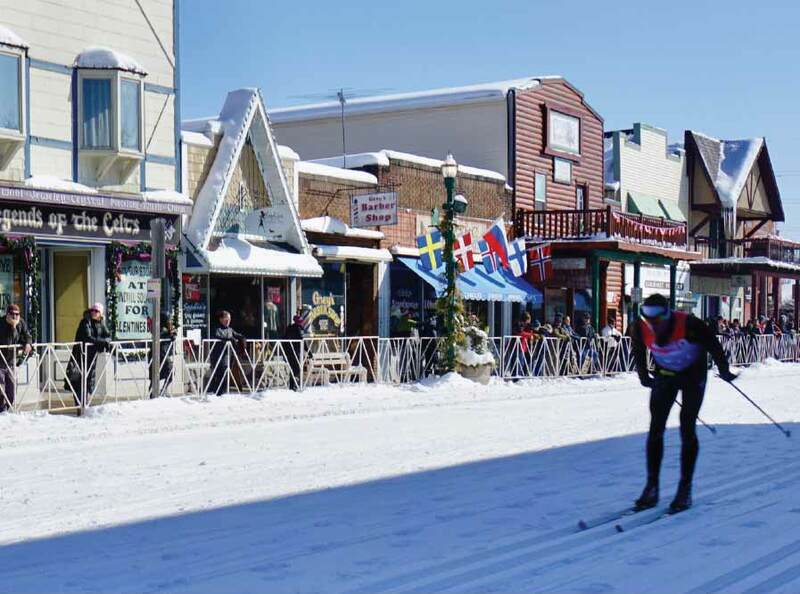 Now the largest North American cross-country race, the event attracts approximately 5,500 skiers from around the world to Telemark, Wisconsin to tackle the 34-mile course. Well done, Steve!